Allied Cash Advance is a company that was created in order to provide financial solutions to people who need help immediately. They offer payday loans, which is a cash advance that helps a person out while they are waiting for their next paycheck. For more information on the Allied Cash Advance application, follow the link below. Founded in 1999 in Northern California, this company started out as an individual branch. Their goal was to not just provide incredible customer service, but to offer much needed support to customers, staff, and their local community. They wanted to offer money fast and when customers need it most, offering a convenient and low-cost alternative to traditional banks and other late fees that may be incurred. As a result of this successful business model, this company has become a leader in their industry. They have over 150 branch locations found across 6 states. Allied Cash Advance aims to keep their post as an industry leader by continually offering a culture that revolves around respect, recognition, development, cooperation, and fun. This is a company that has been so successful, not just because the services that they provide but the incredible customer service that they offer. This company has a commitment to the enhancement of the communities around their local branches, and a passion for providing amazing customer service skills. If you have great interpersonal skills and a passion for helping your customers, feel free to apply today. Allied Cash Advance offers a variety of career opportunities at both the corporate office and branch level. This is a company that encourages growth and advancement within the company. The branches offer entry-level positions that an employee can turn their job into an Allied Cash Advance career. Some branch level positions include customer service representative and store manager. The corporate office has a wide variety of positions available for a job seeker of all skills and talents to find a position that is right for them. The corporate office does have some entry-level positions, however most positions are higher level ones with more requirements to obtain employment. Some corporate positions include human resources, marketing, and financial applications developer. How old do you have to be to work at Allied Cash Advance? You must be at least 18 years of age or older in order to work here. This company generally requires a minimum of a high school diploma or equivalent in order to work here. Other positions may have more requirements for education or experience. 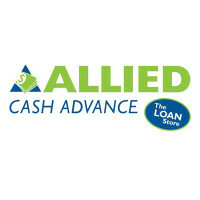 Allied Cash Advance offers benefits similar to others within their industry. Employee eligibility for benefits can depend on hours worked weekly and job title. Some benefits include paid time off, 401(k) plan, and competitive wages. Other benefits include paid on the job training, flexible schedules, among other work benefits like medical insurance and dental plans. The hours of operation can vary based on location and holidays, especially as some holidays will cause closures. For more information on hours of operation, contact your local branch for details. In general, hours of operation are Monday through Saturday from 8:00am to 8:00pm and Sunday from 12:00pm to 5:00pm. Customer Service Representative- The customer service representative is responsible for assisting customers with their loan forms, process the loan forms and assist with any in-store marketing. They will need to ensure the information that is provided by the customer is accurate. They are also responsible for answering phones and answering questions for the customer. A customer service representative may earn around $9 per hour. District Director of Operations- The district director of operations is responsible for managing the daily operations of between 15-20 locations at a time. They must ensure that their customer service is excelling and that stores are meeting their sales and performance goals. They will also perform financial audits monthly. A district director of operations may earn around $65,000 a year. Assistant Manager- An assistant manager is responsible for assisting the store manager with their duties. They will help train new employees, as well a performing many of the same duties as a customer service representative. They will take over the store responsibilities when the store manager is not around. An assistant manager may earn around $13 per hour. Store Manager- A store manager is responsible for hiring and firing employees as needed. They will conduct job interviews for potential candidates. They will open and close the store, call banks to see if non-sufficient funds can be collected. They will also handle customer courtesy calls. The store manager must also keep accurate store and bank records. A store manager may earn around $30,000 a year. Why do you want to work at Allied Cash Advance? The interviewer is looking for someone who is serious about working here. They do not want someone who just applied because there was an opening. They are looking for someone who shares the values of the company. Discuss any values that you feel you share with this company and any other reason that you may want to work here. What makes you interested in working in the loan business? This is a company that has a passion for providing financial solutions for those who need it. They want to ensure that they employ people that share this passion. Answer honestly about what makes you want to work in this industry. Do you have any problems with making collection calls? As part of this business, you will likely be required to call customers to collect past due payments. Answer honestly if this is something that is difficult for you. Why should we choose you over the other applicants? On paper, most applicants look exactly the same. The interviewer is looking to see why you are special and why they should choose you. Discuss what your strengths are and why you feel that this company would benefit from them. Do you think there are any challenges that you may have with this type of work? The interviewer is looking for an honest answer for what your biggest weakness may be working here. Be honest, and discuss anything that you find may affect your ability to work here. Looking for how to apply at Allied Cash Advance? You can apply directly online at Allied Cash Advance jobs online. You may also fill out an application form at the location nearest you. There are no printable applications online. The website does not have downloadable applications or printable applications online. You will be able to find job descriptions and responsibilities right on the company website. This will help you find a job that is a match for your individual skills and experience. You should be thorough when filling out your application, as this helps the hiring manager better evaluate your application. Submitting an updated resume is also important, as this can help you stand out. You should hear back from this company within a few weeks. If not, you should call the location up that you applied at to check the status of your application. You should also call to see if they are still hiring for the job. The hiring manager often looks at this as you are serious about the job, and will make note of that. Preparing for your interview can give you a huge advantage over the other applicants. This will help you walk into your interview with more confidence. To do this, you will ask yourself potential interview questions and answer them aloud. You should remember to dress professionally, as this will also impact your chances of success. Ernst & Young: Visit the job application for Ernst & Young to apply today. Charles Schwab: See our resource page for more information on Charles Schwab careers. TD Bank: Checkout the application page for work at TD Bank. Fidelity Investments: See this page for jobs at Fidelity Investments. Suntrust Bank: Visit the Suntrust Bank application.